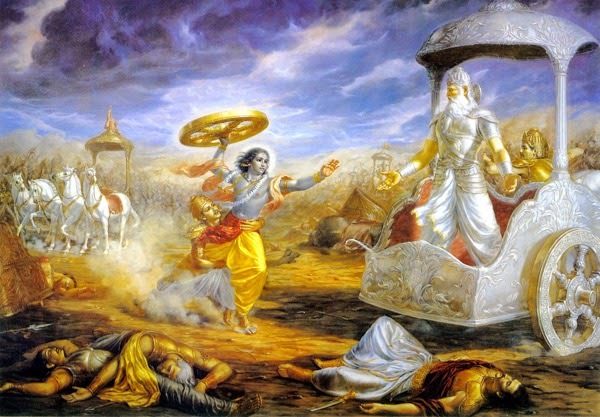 The gist of Bhagavad Gita could never be understood literally! The moment mankind succeeded in assimilating pearls of wisdom contained in 700 shlokas verses of Bhagavad Gita... one finally reached stage of enlightenment (kaivalya)... and finally salvation (moksha)! The original teachings of Bhagavad Gita with English transliteration is available for mere $.60 (rupees 30/=) at most railway stations of India or directly from Gita press, Gorakhpur, India... still, people wondered what Bhagavad Gita of Hinduism was all about! Thanks it was much needed.. Agree with Vijay Kumar Jain... Today we have reached where we call our selves hindu but nobody knows what it is in actual.